Which franchise has had the best trio of running backs in NFL history? Which NFL franchise has had the best trio of running backs in NFL history? To get the ball rolling, here’s my top 10. I looked at a few stats, looked up a few numbers, and tried to recall the careers of some of these running backs. I’m not willing to go to war with these picks, but it should be a good start for some debate. What’s your choice? 1. 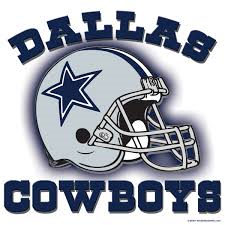 Dallas Cowboys (Emmitt Smith, Tony Dorsett, Don Perkins). Smith and Dorsett are both in the Hall of Fame and are one of only three pairs of running backs to have over 10,000 yards rushing for one team. Perkins had 6217 yards in his Cowboys career. Smith is the league’s all-time leading rusher and led the league twice for most yards in a season. Smith had 11 1,000-yard seasons, Dorsett had eight. Smith was a league and Super Bowl MVP. 2. Cleveland Browns (Jim Brown, Leroy Kelly, Marion Motley). Each of these RBs is in the Hall of Fame, although Brown is the only one of the group to gain over 10,000 yards with the team. Kelly had 7274 yards, while Motley had 4712. Brown led the league in rushing a record eight times. 3. Buffalo Bills (Thurman Thomas, O.J. Simpson, Fred Jackson). Thomas and Simpson both gained over 10,000 yards with the Bills. Jackson had 5121. Simpson led the league in rushing on four seasons. Both Thomas and Simpson are in the Hall of Fame. 4. Pittsburgh Steelers (Franco Harris, Jerome Bettis, John Henry Johnson). Another pair of 10,000-yard rushers in Harris and Bettis. Harris and Johnson are in the Hall, and Bettis will likely make it three. Johnson had only 4381 yards rushing in his Pittsburgh career. Harris had a Super Bowl MVP Award on his resume. 5. St. Louis Rams/L.A Rams (Steven Jackson, Eric Dickerson, Marshall Faulk). Dickerson and Faulk are Hall of Famers, although neither gained over 8,000 yards in their career with the Rams. Jackson had 10135 yards in his St. Louis career with eight 1,000-yard seasons. Faulk was a league MVP recipient. 6. Tennessee Titans/Houston Oilers (Eddie George, Earl Campbell, Chris Johnson). One of only two teams to have three runners with more than 7500 career rushing yards. Campbell is in the Hall of Fame and was a league MVP in 1980 with the Oilers. 7. Chicago Bears (Walter Payton, Gale Sayers, Matt Forte). Payton is second on the all-time career list for yards and had 10 1,000-yard rushing seasons. Sayers and Payton are both in the Hall of Fame, although Sayers had under 5000 yards rushing in his career. Forte has 6666 rushing yards in his career with the Bears. 8. Green Bay Packers (Ahman Green, Jim Taylor, Paul Hornung). Hornung and Taylor both have Hall of Fame and league MVPs on their resumes. Hornung had only 3711 yards rushing in his career. Green holds the team career rushing record with 8322 yards gained. 9. San Francisco 49ers (Frank Gore, Joe Perry, Roger Craig). This trio each had over 7000 yards rushing with the 49ers. Perry is a Hall of Famer, while Craig made his mark as not only a runner, but as a receiver out of the backfield. 10. New York Jets (Curtis Martin, Freeman McNeil, Emerson Boozer). Martin is in the Hall after gaining 10302 yards for the Jets in his career. McNeil gained over 8000, while Boozer had 5135. Martin also had 10 1000-yard seasons, including seven with the Jets. So which team is your choice for the best trio of running backs? Let the debate begin. Interesting article Jerry…but lets look at it from a perspective of which “Championship Winning Team” had the best trio of backs! Its one thing to gain a lot of yards or score a lot of TD’s or be in the HOF, but the objective is to be the best Championship Team at the end of the year, correct? Individual success does not always equate to team success – an example from my youth is Ernie Banks. Great player with tremendous skills but never played on a championship team. A more recent example might be Melo of the NY Knicks. Prolific scorer, but his selfish play will never be confused with team oriented winning basketball! By my criteria, Pittsburgh and the SF 49’ers might be number one and two in terms of Championship Teams with great running backs. Now, let the debate begin! You cannot put Green Bay so low. You’re leaving out Hall of Famers Johnny “Blood” McNally, Clark Hinkle, Tony Canadeo, and even Curly Lambeau. This list is too based on the Super Bowl era.